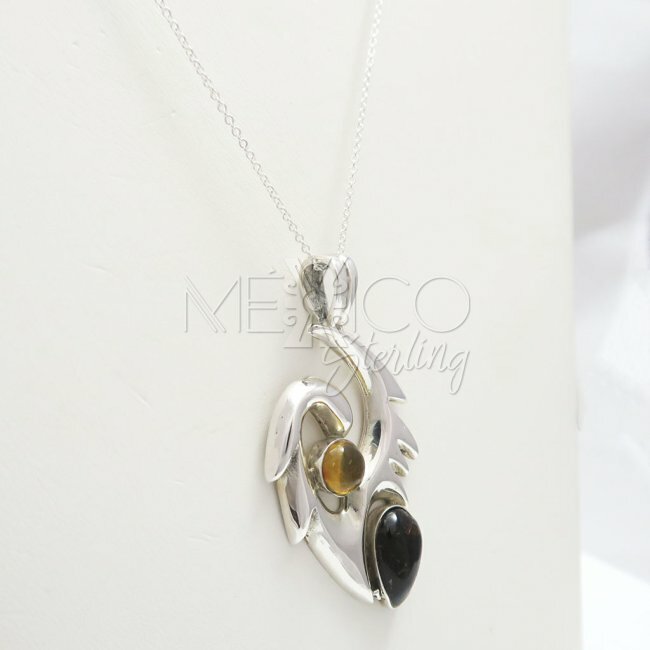 Contemporary Taxco Silver Fiery Pendant [PND3402] - $78.00 : Mexico Sterling Silver Jewelry, Proundly from Mexico to the world. 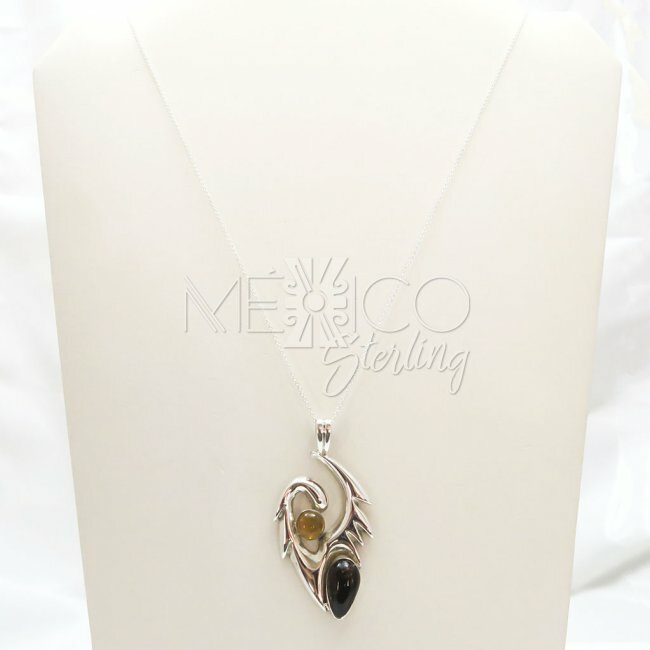 Dimensions: W: 1 1/4" L: 2 1/4"
Contemporary Taxco silver pendant, decorated with Chiapas, Simojovel amber. 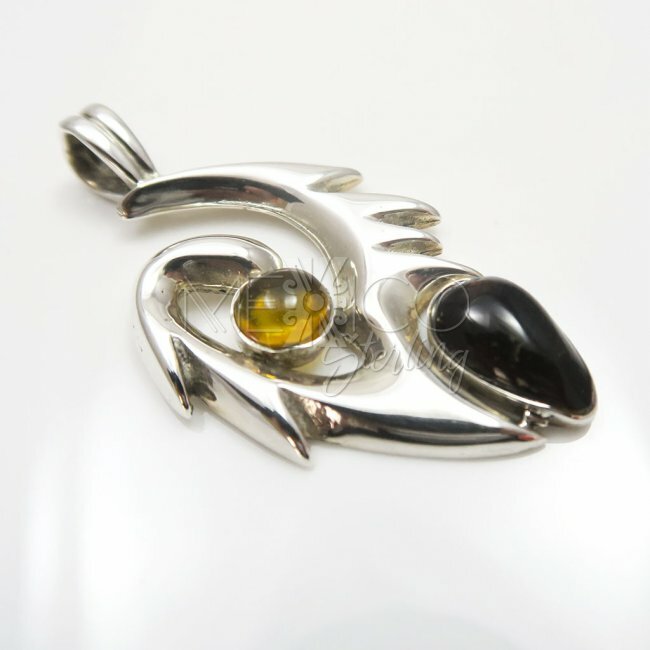 This silver piece carries a modernist, abstract composition, that makes it very attractive to the eye. 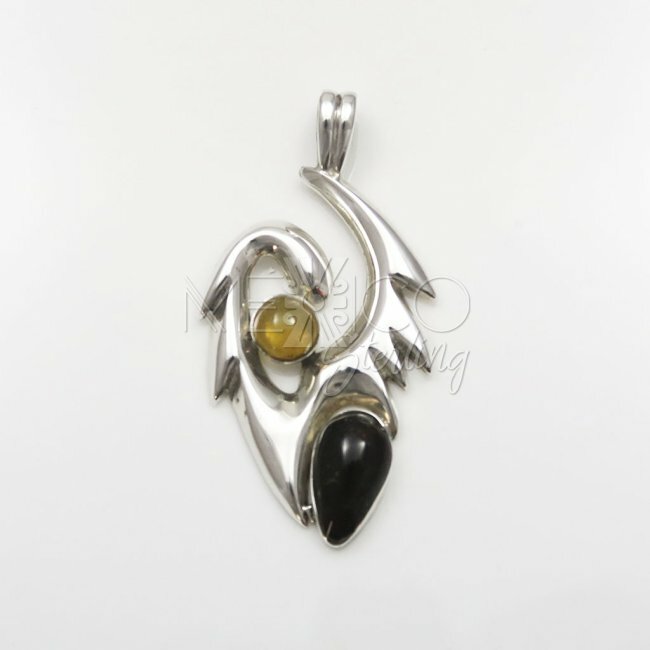 I call it, the fiery pendant, because of the pointy borders that seem to expel fire to the outside. 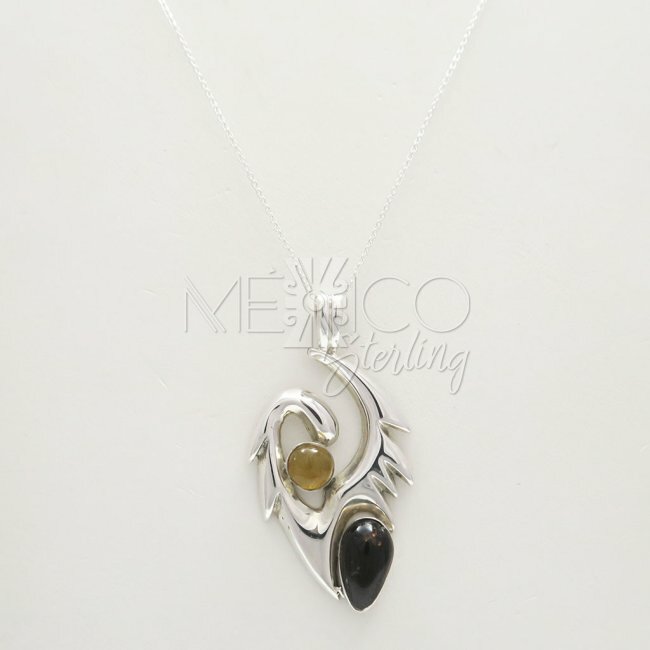 The ornamental features on it, are really nice, carrying 2 Amber cabochons. 1 of them is a more common, honey color and the other one, is a darker, deep, wine tone that really breaks with a uniform pattern. The shapes, as well, are different and work pretty well with the whole composition. 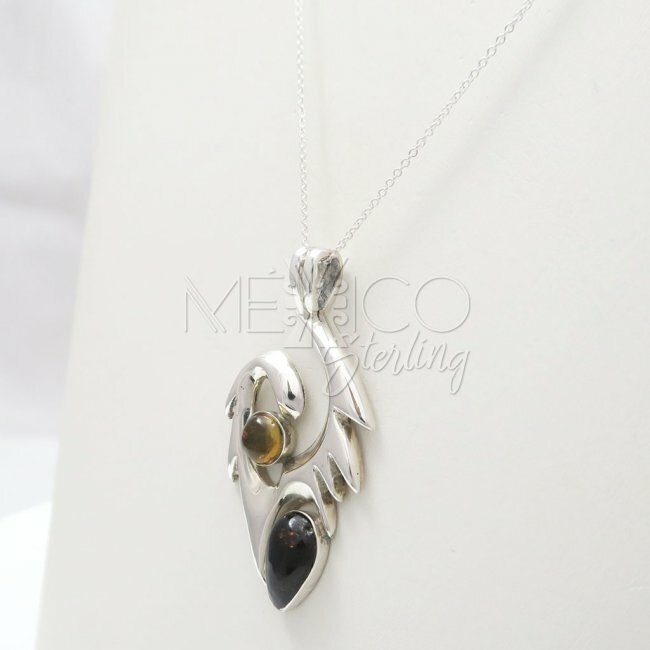 I would also like to comment , that this silver piece is marked by the artist, with the words "Pueblo" and it is also marked with the .925 quality silver grade. 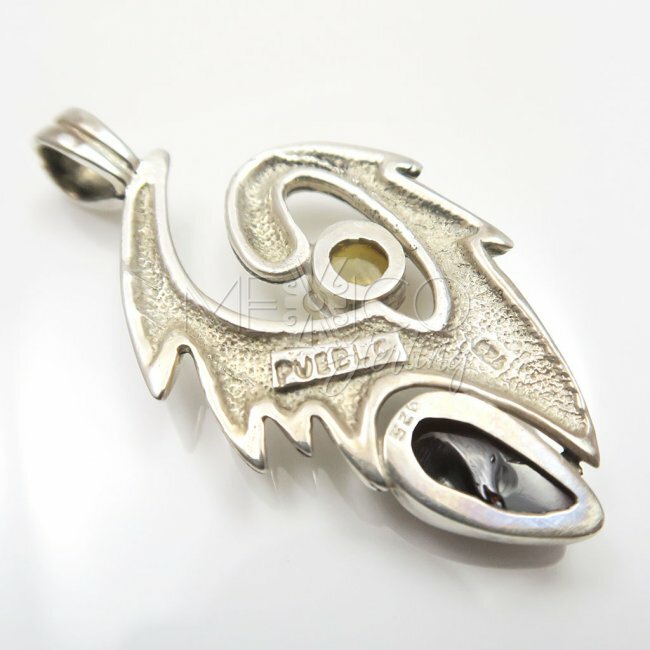 It is a very sturdy and substantial in weight piece, with a total of 14.6 grams. 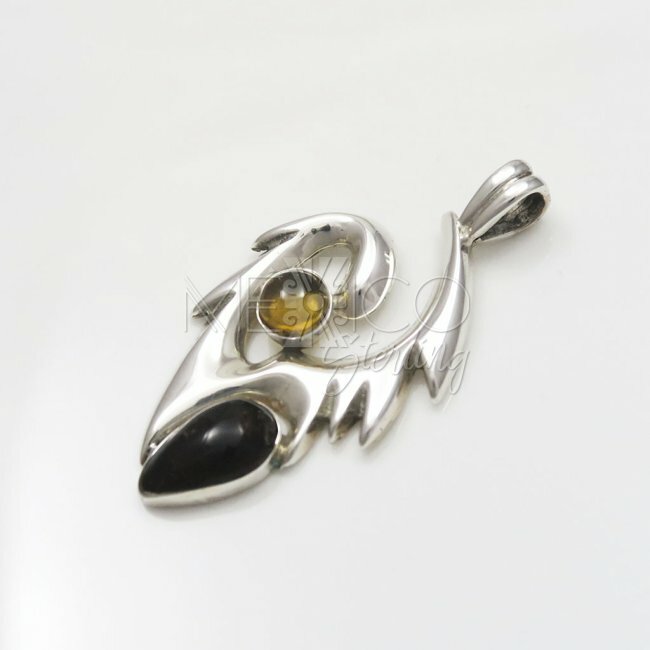 Please take a look at the extra photos, for more details on this gorgeous modern silver pendant.